Open All Year... 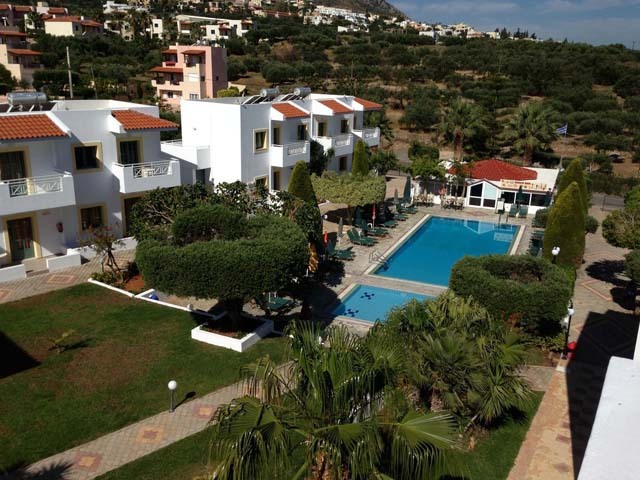 The Golden Villas are on a slope overlooking Hersonissos. 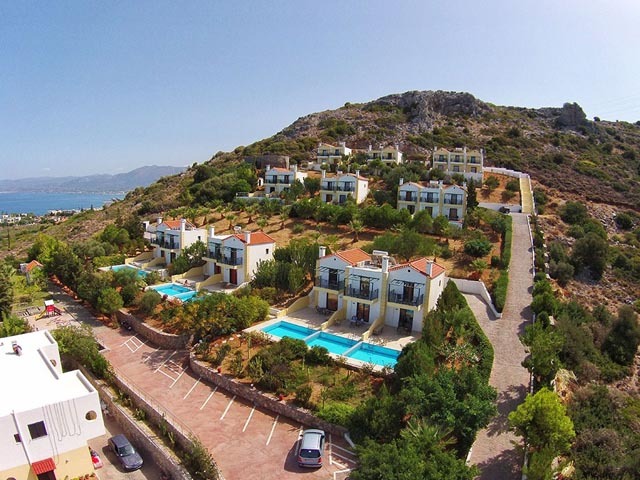 All the Villas are in Maisonette style and benefit from fabulous views over he villages, port and the Aegean Sea. Open: April - October... For your magical holidays let the relaxing atmosphere of the elegant Europa Beach Hotel, transport you to heavenly dreams. Open: May to October... Nikolas Villas are situated east of Hersonissos, an enchanting area, between the traditional village Koutouloufari and the cosmopolitan town of Hersonissos. 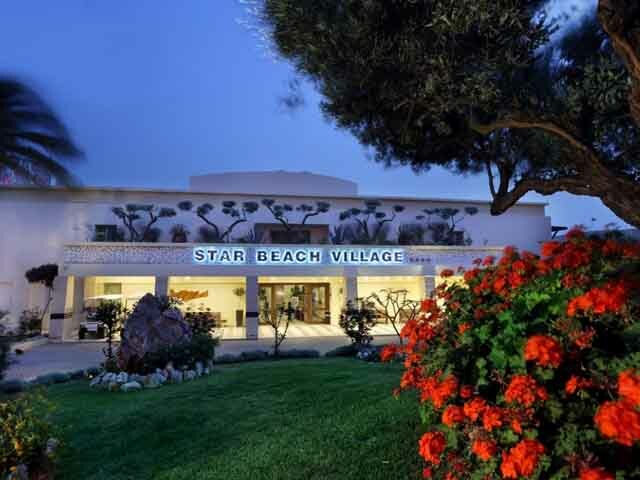 Open: April to October... Star Beach Village is an ideal place for families, people seeking rest and relaxation, and those looking for fun and excitement during their holidays. 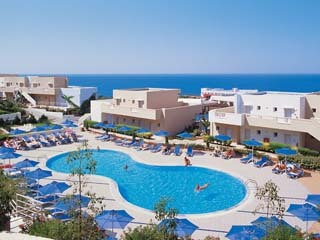 Open: April - October... Grand Hotel Holiday Resort rests 25 km east of Heraklion International airport and 2.5 km from Hersonissos on the north coast of the Mediterranean island of Crete.